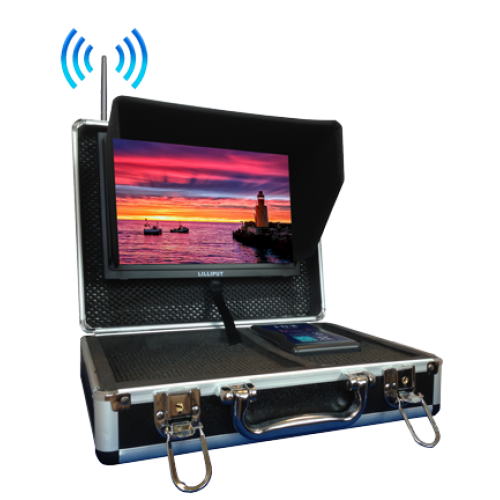 The Lilliput Directors Wireless HDMI monitor features a 10" IPS field monitor with HDMI wireless receiving capability and internal rechargable battery. WIth a very high quality panel, and featuring a capacitive touchscreen function to access and operate the internal settings functions, the Directors Wireless HDMI monitor is an all in one solution for the set leader on the move. The 16:9 wide screen aspect ratio makes the TM-1018 ideal for a variety of AV applications. You can find the TM-1018 in TV broadcast rooms, audio visual installations, and it is ideally suited as a preview monitor with professional camera crews for both on-camera and Video Village installations.. The TM-1018-O/P has a large range of compatibility, with all major DSLR camera types supported using HDMI input Our Field Monitors allow for confident shot taking allowing you to see the shot in it's full glory before taking. 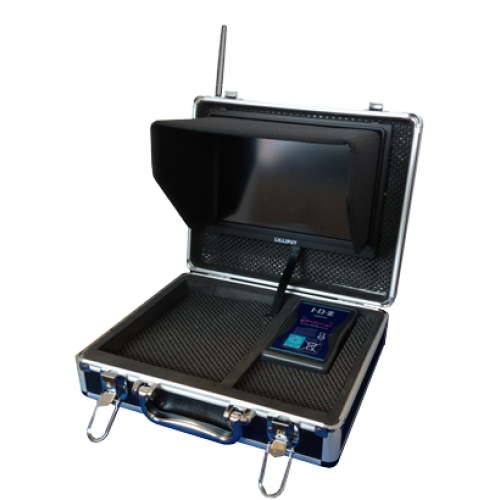 Packed with advanced features usually only offered on more expensive field monitors, Lilliput pack everything into their products to give you the best value for your money. Features on this unit include Including Peaking, Histograms, False Colour Filtering, Exposure, and much, much more! Lilliput TM-1018 features an on screen volume level, ideal for monitoring any excessive background noise or volume peaks whilst filming video and connecting via HDMI.